Two common marketing terms are “target market” and “ideal client.” Some people interchange those terms, but they are different. Target markets are groups of people who share similar characteristics. Some typical wellness target markets are: high-stress executives, pregnant women, athletes (in general or a specific subgroups such as cyclists), pre- and postoperative recovery patients, seniors, people in addiction recovery programs, patients of other primary care providers, and people in specific industries (e.g., accountants, computer operators, military personnel, restaurateurs, dancers). 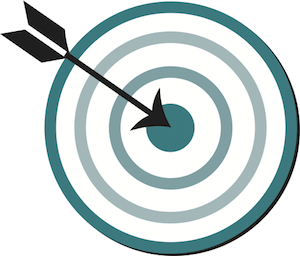 Your ideal client is a subset of your target market(s). Your ideal client is essentially a profile of a person within a specific target market who would naturally want to be your client if they knew about you. Some people prefer to work on their ideal client description first, then determine their target market(s). Once they’ve identified their desired target market(s) they can do the requisite research to create a target market analysis and then marketing their plans naturally unfold from that analysis. What are your desired working parameters? What types of services would be the most fulfilling for you to offer? What qualities do you want your services to exude? What problems, conditions, and issues do you want to address in your work? What type of environment do you want to work in? What type of person would naturally want to be your client given the above responses? What are the characteristics of the person you prefer to have as a client? How would you describe the people who use (or would use) the kind of services you provide? What type of person is most drawn to your practice? What type of person do you want to reach? What type of person do you most relate to or already have as a client? Let’s look at approaching this from the target market. You decide one of your target markets is accountants. You can gather a lot of data about accountants when you complete a target market analysis, such as demographics, their overall needs, where they shop, publications they read, etc. Your Target Market Analysis helps you determine how to reach those potential clients. The Ideal Client Profile helps you determine your marketing content/message. Thus, while you might do some broad-based marketing to a general group of accountants, you want to craft you approach and messaging in a way that directly speaks to this ideal client. Ideally choose at least 3 different target markets and develop a profile of your ideal in each target market. Ultimately this simplifies your marketing and makes your marketing plans much more effective. Going through this process can help you use Facebook ads in your marketing, which if done well, can grow your clientele. For what you pay Facebook, the return can be substantial.